Sam is spending time with the Khaki Scouts, taking a break from living at his foster home. His parents died recently. His behavior in the home, and at the camp, has been problematic. He feels unpopular, but he has made one friend. Suzy, the daughter of two belligerent local lawyers, also acts out. She is replaced in a church play, and is crushed to find that her mother is reading a book about raising “your very troubled child.” Suzy feels alone, but she has made one friend. Sam and Suzy have secretly exchanged letters for a year. They finally agree to meet. They each run away – Suzy from home, Sam from camp, and both from their experiences of loneliness. How is This Relevant to Adoption / Foster Care? 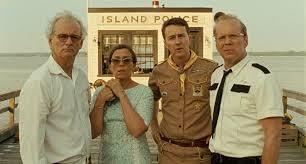 Moonrise Kingdom depicts feelings of discouragement, the struggle to find belonging, and a cause for hope. Sam is able to stay in his city because one of the men in town cares about him and decides to foster him. Sam confronts one of his tormenters directly, asking, “Why do you consider me your enemy?” He doesn’t get a good answer, and ends up fighting the boy – but his directness in asking the question is admirable. This movie has the potential to be painful, and the potential to foster a lot of positive discussions. 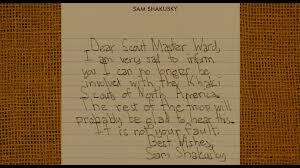 Sam is unpopular at camp; he is awkward (think Dwight Schrute), and many of his fellow Scouts seem to dislike him. When he runs away from the camp, he expresses,”the rest of the troop is probably glad that I’m leaving.” These emotions and thoughts – feeling unwanted and unliked - are familiar to many kids in foster care. 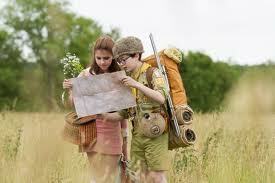 The movie eventually shows many scouts deciding to help Sam, an adult deciding to foster him, and a girl falling in love with him. Kids talk insensitively about the intimate details of Sam’s life, speculating about the death of his parents. This will ring true to many folks connected to foster care and adoption. Sam and his new foster father have a trusting, mentor-like relationship, but some elements of their relationship aren’t so good: the man offers Sam beer and also sneaks him into his girlfriend’s house. Sam feels as though he is getting close to having a family at his foster home; unbeknownst to him, they’ve already decided to have him removed from their care. For kids who’ve been bounced between foster homes, this could be traumatic. Kids feel rejected when they’re moved from home to home to home, and young viewers of this film will need to be reassured that there is nothing they can do that would make them lose their place in your family. Come to think of it, whether you’re a foster parent or an adoptive parent, please make a commitment not to have kids moved from your home. Fostering at its best involves treating a child as your own. You wouldn’t kick out your own child for swearing, saying hateful things, or breaking some heirlooms – so please don't kick out a foster child either. There’s lots of tobacco use and some underage alcohol use. There are some non-life-threatening injuries, and one character is struck by lightning (but not injured.) 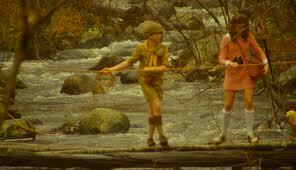 Sam and Suzy both running away from home could also be troubling to some viewers, and some parents will object to their children seeing Sam and Suzy’s explorations of each other. (They are 14, and they see each other in their underwear.) A dog is killed. Suzy and Sam are (unofficially) married by a Scout employee. Suzy’s mom is having an affair with the police chief. Suzy knows. Kids are mean. 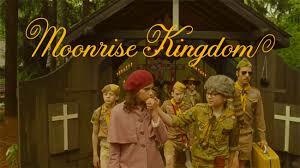 There are some parts of Moonrise Kingdom that will be objectionable to parents of young kids, but the movie is shot and presented in a way that at least feels innocent – and maybe a little bit “off.” It’s rated PG-13. 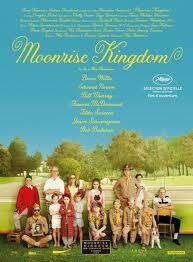 With parental guidance, the film could be powerful for kids ages 12 and up. How do you think Sam and Suzy felt right before they ran away? How about at the end of the movie? Suzy views the world through binoculars to make the world seem closer, even when it’s not physically far away. Why do you think she does that? Have you ever felt like your life story was talked about by lots of people? How did you feel about that? How does Social Services compare with social workers you’ve met? Why did Sam’s foster parents decide not to have him back? What other decisions could they have made? What would have been the right thing for them to do?